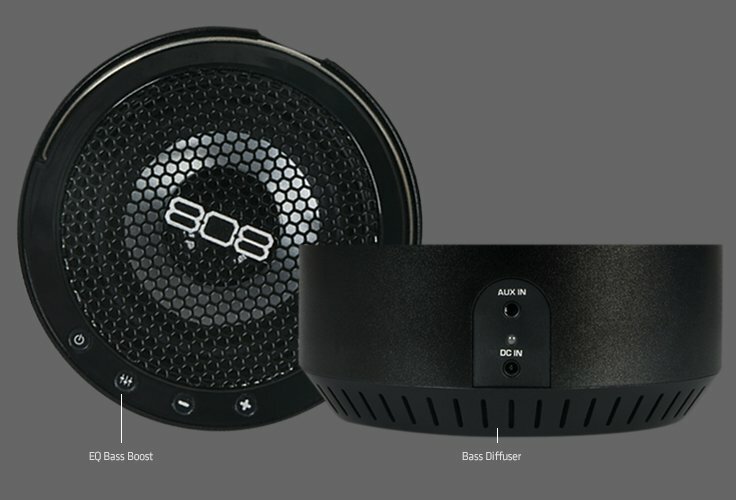 Step up your audio game with the new BIGGER and better CANZ speaker from 808 audio. The new CANZ XL packs an enormous audio punch with a large, precision-tuned ported enclosure that delivers big bass response and huge 360° sound. Designed for the on-the-go lifestyle with an anodized aluminum cabinet and a built-in metal handle. With an incredibly simple interface of power/pair, EQ Bass Boost, and volume control CANZ XL is perfect for music lovers who want to get the party started. The built-in rechargeable battery lasts up to 8 hours, so you can easily keep the tunes flowing from place to place throughout the day. The new CANZ XL Packs an enormous audio punch with a large, precision-tuned ported enclosure that delivers big bass response and huge 360° sound. Designed for the on-the-go lifestyle with an anodized aluminum cabinet and a built in carry-anywhere handle. Equipped with EQ Bass Boost, the CANZ XL can deliver booming bass at the push of a button. Perfect for music lovers who want to get a party started. Wanted to pick up at Walmart but they were out of stock. Took a chance on the direct website and glad I did. Actually caught it on sale, plus a 10% coupon!! Great buy, can't wait to get it. Sounded great at the store. Plenty of bass and super clear. I'm sure it'll sound even better in my home. Sky-high cool factor. I use it in the a.m. for my internet am radio station as I'm moving about. Gonna get another one for bath. Crystal clear, plenty loud, perfect BT reception. No stereo, no problem. 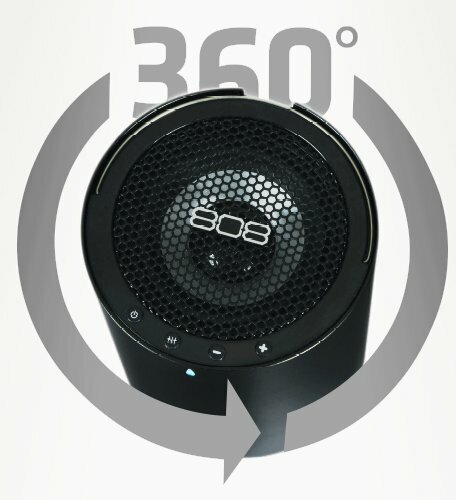 In comparison to other bluetooth speakers out there, this one is superior. I would say that its even better than the JBL and the Bose. Take a chance on this speaker, you will like it.